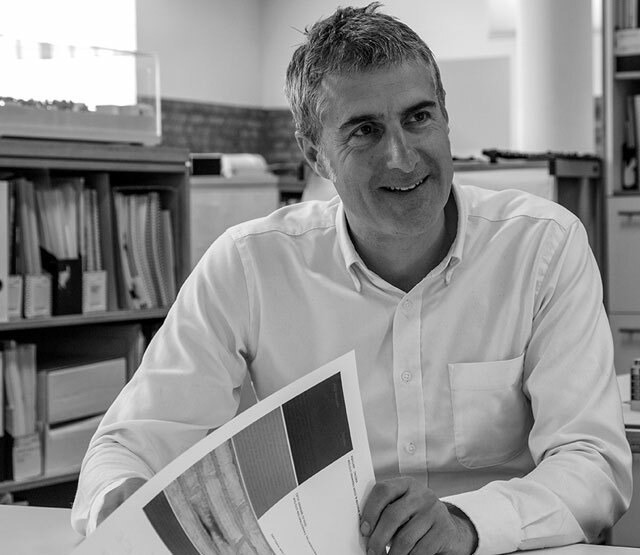 As Partner since 2015, having joined the Practice in 2004 Jake leads on a large number of challenging projects from planning to completion, working closely with clients and our internal teams to develop design solutions that maximise the potential of sites and deliver buildings that positively contribute to their context. His strong working knowledge of the planning policies within individual London Boroughs, ensures the delivery of schemes that reconcile the client’s aspirations with what is realistic and achievable. Jake also embraces working with local communities in order to develop proposals which they can engage with, understand and support. Notably, he led the design of New Festival Quarter and Equinox in Poplar, two large residential projects with private and affordable housing alongside community facilities. These two schemes required careful planning strategies to ensure community buy-in and to contribute to the positive regeneration of the area. Jake is adept at steering projects through the complex planning process; more recent successes include Kent Wharf, a development of 143 new homes and artists’ studios in Lewisham and a multi-award winning housing scheme in Stamford Hill, North London. Jake’s focus is in delivering maximum benefit to all parties, including investors, stakeholders, the local community and residents. With a passion for bringing forward innovative housing solutions, Jake regularly attends and contributes to conferences and events with a focus on developments in the residential sector. Jake takes a lead role in the office design review process and marketing within Stockwool. He also oversees the Policy and Legislation working group within the Practice, ensuring staff are kept updated with current developments in all relevant planning and construction policy.